The roads inside the resort are all gravel roads and are well maintained, although not all roads are accessible to normal vehicles, there are certain roads that are specified as 4 x 4 trails. 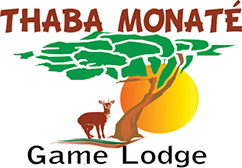 Tthere are regular Bush Drives onto the mountain and other areas of interest within the resort such as the two dams. Book at the Reception Office to take part in these outings, special arrangements can also be made for other times and days. There are also guided nature walks, walking trails, canoeing and mountain biking. Thaba Monaté boasts some of the best Birding opportunities in the area, so remember to bring your Cameras and Bird Books!